Unfortunately, many at-home teeth whitening kits end up causing serious damage to a person’s teeth because so little information is included with them regarding how to use them safely. So what often happens is that the solution is left on too long, or it is applied incorrectly, which destroys a good portion of the enamel. Of course, this most commonly occurs because those who try the kits are attempting to achieve whitening results that they can only get with medical grade hydrogen peroxide that has a strength of 40% or more. What is the most alarming of all though is that since the whitening kits are sold alongside other over-the-counter products, there is no age requirement for purchasing them. That means that children who are under the age of 18 years old can buy them too. And this puts them at an even greater risk for long-term dental problems if they misuse them because their teeth might not be fully developed yet. Since our dentists use a stronger whitening solution, along with some special heat and light devices, it often takes less time to see the results that you are looking for. In fact, many of our patients leave our office with teeth that are two or three shades lighter. And the procedure usually only takes about two hours or less. Of course, the degree with which the whitening occurs varies from person to person though. And it is only beneficial for teeth that are yellow. Those who have dark brown spots or gray or black teeth may have to have other procedures done first to correct them. Seeing our professional dentists have your teeth whitening done is also important because we can easily identify any dental problems that need to be addressed before the whitening solution is applied. This is important because if a person has any cavities or worn enamel, they could develop further sensitivity in these areas if they are not treated beforehand. And this can make it difficult for them to eat or drink certain foods without having a great deal of pain. Believe it or not, having your teeth whitened at our dental office will save you money in the long-run. 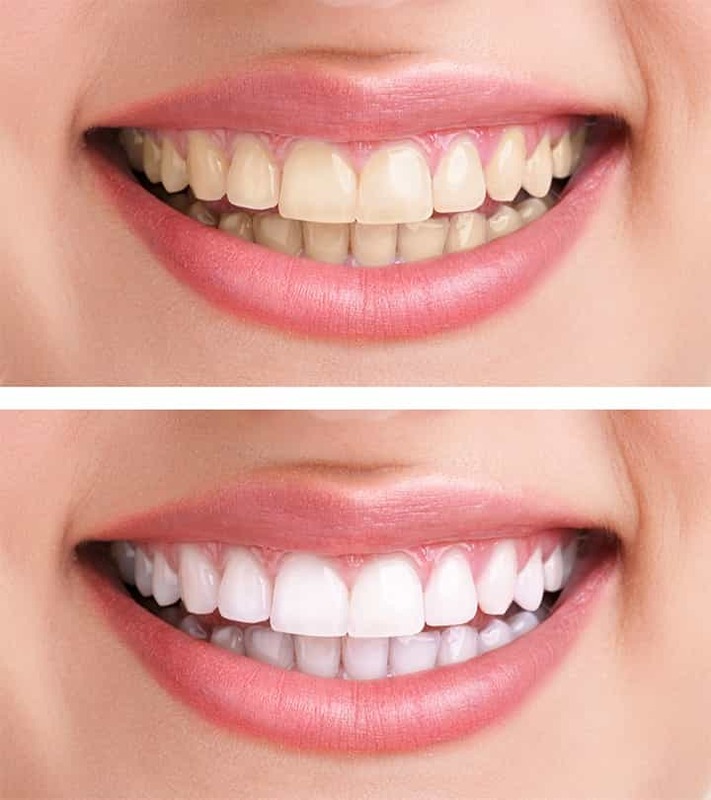 The main reason for this is that a good portion of the at-home teeth whitening kits that are sold in department stores offer very limited results, so they have to be purchased over and over again for a person to be able to see a difference in the way that their teeth look. On top of this, they can cause damage to the enamel if they are used incorrectly that can lead to thousands of dollars in dental bills in order to have the teeth fixed afterward. It is important to mention that at-home whitening kits are not the only products that can cause expensive damage to the teeth like this though. Many supposed natural remedies for yellow teeth that are touted by internet websites are harmful too. As you can see, there are numerous reasons why you should consider having your teeth whitened by one of our dentists at Best Centennial Dentist. Our services are safer for your teeth, have faster results, cost less money in the long-run, and they offer a chance for a check-up to make sure that your teeth are all healthy before the procedure is done. So why wait? Call now to make an appointment with one of our representatives.